Let´s face it: the Trio is unique, even more so in its recent XD Series incarntion. Unique in its artistic design. Unique in its craftsmanship. Unique in its State–of–the–Art XD technology. Unique in its condensed–to–the–max spherical horn architecture. And last but not least: unique in a performance that is impossible to describe. As the famous proverb says: all good things come in three´s. Trio. That´s all that needs to be said. 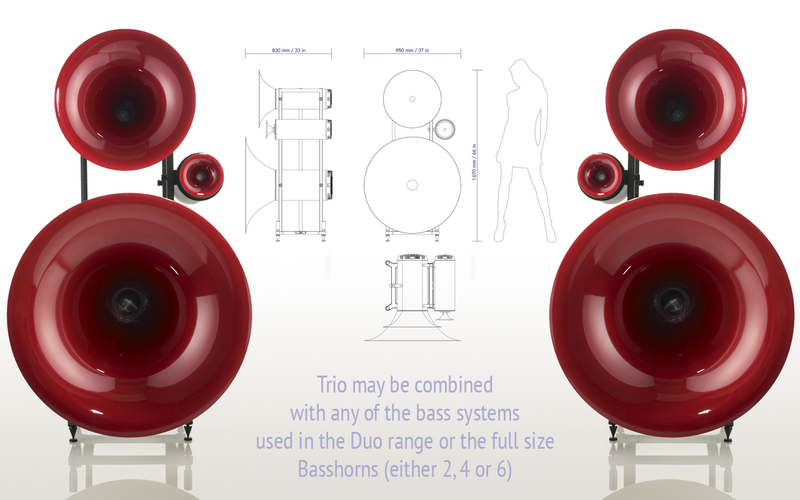 Let the facts speak for themselves: The Trio is a 3–way spherical horn satellite which – below 100 Hz – is complemented with active subwoofers. The transmission of the lower frequencies is handled by the 38 inch low–midrange horn. It is driven by the all new 8 inch L3Ω-XD driver with 16 ohm OMEGA voice coil and proprietary Soft Mesh Compund membrane dome. The heart of the Trio – the midrange with coverage down to 600 Hz – is covered by the 27 ohm(!) 2 inch M3Ω driver behind the 23 inch midrange horn. The 16 ohm 1 inch tweeter H3Ω with its 7 inch horn blends in at 4 kHz. In the low frequencies the Trio–series can be combined alternatively with the SUB231 XD subwoofer (of the Duo XD), the Short Basshorn modules (of the Duo Mezzo XD) or, in its ultimate configurations, with 2, 4 or 6 Basshorn XD modules. 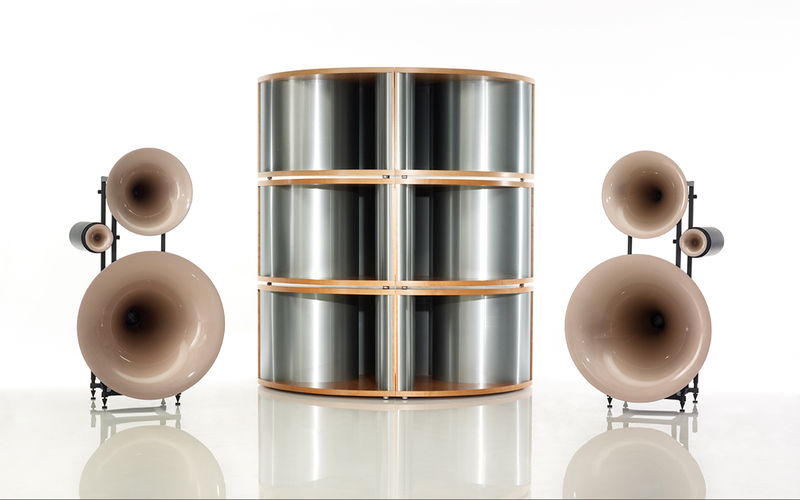 To put it simply, the Trio XD is the best speaker ever available from Avantgarde Acoustic™! And let us be honest: the Trio is not necessarily prudential. But in man’s quest for the ultimate in performance, always the most fascinating things arise. The Trio is such a landmark – in respect to technology and in respect to sound. And that´s why it exists.